home / news - 1486901162s Webseite! The Shapeshifters, PurpleDiscoMachine, Lee & Sun, Vin Vega, Ferreck Dawn, Steve Lawler, Juanito, Tobi Kramer, Danilo Dumonte // David Aurel, Francisco Allendes, René Amesz, Jerry Ropero and Rafa Barrios. Lee & Sun - Ain't Nobody [Vin Vega Terrace Remix] is out now on Beatport. New Vin Vega & LEX GREEN Remix for Seeward is out soon on Eisenwaren. Check out the preview on my Soundcloud page. Check out my newest Eisenwaren Podcast DJ Mix. Joe Vanditti & Neshga, Eli Brown, Tuff London, Andrea Oliva, Juanito, Tobi Kramer and Dennis Cruz. Taktlos-Events "Wir Tanzen aus der Reihe... in den Mai! with Tapesh, Vin Vega, Hawaii & Devito, Klangbausteine, Carlo Loco, Howard.Mono and Tom Craig. New Vin Vega Beatport April Charts online. ANOTR, Mr Doxx, GeorgeLu, Adapter, DJ Smilk & Hassio COL.
Incl. Remixes by Joe Vanditti & Neshga and PONTE. Check out the preview on Soundcloud. I'm very happy about my new Remix for Lee & Sun. Coming soon on Soundatraq. Check out the preview on Soundcloud. New Vin Vega & LEX GREEN Spring Eisenwaren Release is coming soon. "Don't Wanna Dance" will be release on 08. May exclusively on Beatport incl. two amazing Remixes by Joe Vanditti & Neshga and PONTE. 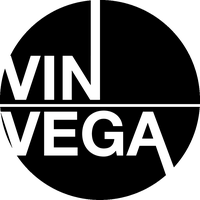 New Vin Vega Beatport March 2017 Charts. Mark Knight, René Amesz and Green Velvet. BRIXTON INVITES 2016.12 VIN VEGA from Brixton Invites on Vimeo. Episode 30 mixed and compiled by Vin Vega. Check out my February 2017 Beatport Charts. Incl. Tracks & Remixes by André Butano, Miguel Lobo, Dennis Cruz, CamelPhat, Vin Vega, LEX GREEN, Hassio COL, Kevin Jessurum, Dajae, Prok & Fitch, Cari Golden, Reinier Zonneveld, Coyu, Nicole Moudaber, Fett Flamingo, Makluv, Angelo Ferreri, Stefano Noferini and Sylex. also #20 House and #31 Deep House. I'm very proud to present you the Eisenwaren release no. 100 !! This Album comes with ten brand new high quality Tech House, Deep House and House Remixes by my International friends Hassio (COL) & Kevin Jessurum, Nine Two Five , Eddy Malano, Andy Woldman, Lee & Sun, Toivo, Valentino Weethar, Future Proof, Giacomo De Falco and Kai Schulz. Get your copy of this amazing "Vin Vega - Remixed" release on Beatport now. Incl. Tracks & Remixes by Melé, Persica, Darius Syrossian, Paul Darey, Thule, illyus & Barrientos, Basement Jaxx, Erik Hagleton, TOIVO, Nicole Moudaber, West Minds, David Tort, Markem, Miguel Bastida, Vin Vega & LEX GREEN and German Slend.